“G-T-F-O, Amazon has got to go!” chanted protestors in a Cyber Monday demonstration against the mega-retailer set to become a mega-bummer in New Yorkers’ lives. Activists gathered at Herald Square before marching toward Amazon’s 34th Street physical bookstore location. There, speakers addressed cameras and a crowd of onlookers to make the points that MobyLives readers know to be true: that the deal to bring Amazon HQ2 to New York will have a seriously negative impact on the city itself. Signs in English and Spanish raised concerns about Amazon’s potential to inflame the housing crisis, overwhelm our already broken transit system, and continue to strengthening ICE. The New York City protests come on the heels of global walkouts and strikes against Amazon last week. In warehouses in Germany and Spain workers celebrated that most American of traditions–Black Friday–by resisting working under too grueling conditions for too low a wage. 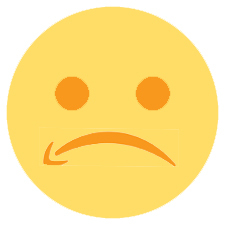 According to some sources, Amazon asked Spanish police to intervene in the walkout–a request that made no sense to police in a country that protects workers’ rights to strike. Amazon denies making this request, and have also denied that the walkouts involved a significant portion of their workforce in those warehouses. The hour is here to realize that a united global labor movement can be a crucial force for achieving justice in our home communities.